This has got to be one of my all time favourite recipes. More often than not I make it for any friends who come to stay. It’s hard not to like so makes it a great choice if you’re having friends round. I love to make it on a Saturday night where I can totally chill and let the slow cooker do the hard work. Best of all, it is perfect any time of the year. In the Summer I love to serve it with rice, raw red onion and pinto beans. In the Winter, spiced chilli potato wedges. It is completely different to a Chilli Con Carne, I can’t say I’ve found a fool-proof recipe to make a Con Carne. But this recipe never goes wrong. I always feel so satisfied and at home with it. Bliss. I was lucky enough to be sent a bottle of Gigondas Pascal Frères red wine to accompany the dish from Yapp Brothers. 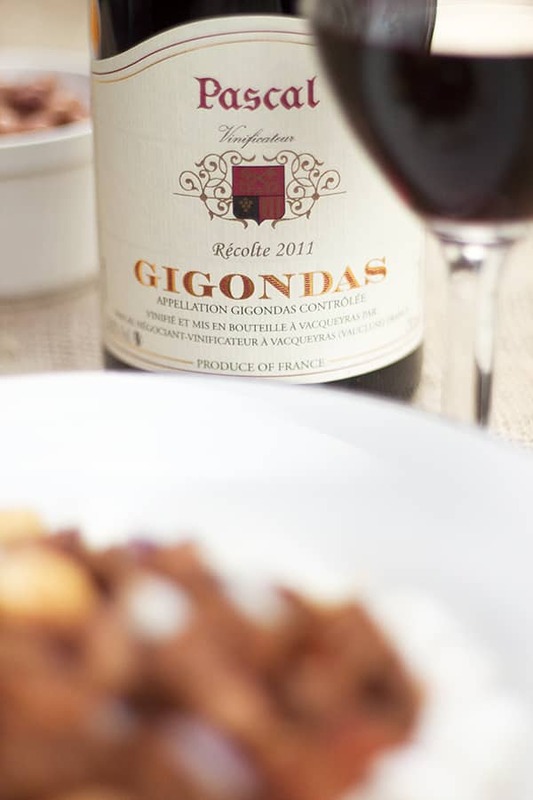 It’s a full bodied red from France, it goes perfectly with the chunky pieces of beef in this recipe. The other half and I enjoyed eating this slow cooked hearty chunky chilli dish alfresco, next to the fire pit with two large glasses. An absolutely perfect way to spend a Summer evening. Enjoy. Put the beef, diced onion and crushed garlic into the slow cooker (I use a Morphy Richards Accents 48703 which I did a review of here). With a pestle and mortar, crush the coriander seeds and cumin seeds. Sprinkle all over your beef. Add the cinnamon and paprika to the beef along with a crushed beef stock cube. Stir. Add the tomato and chilli sauce, rinse out the jar and add the water to the dish (it should be enough to cover your beef). Season. 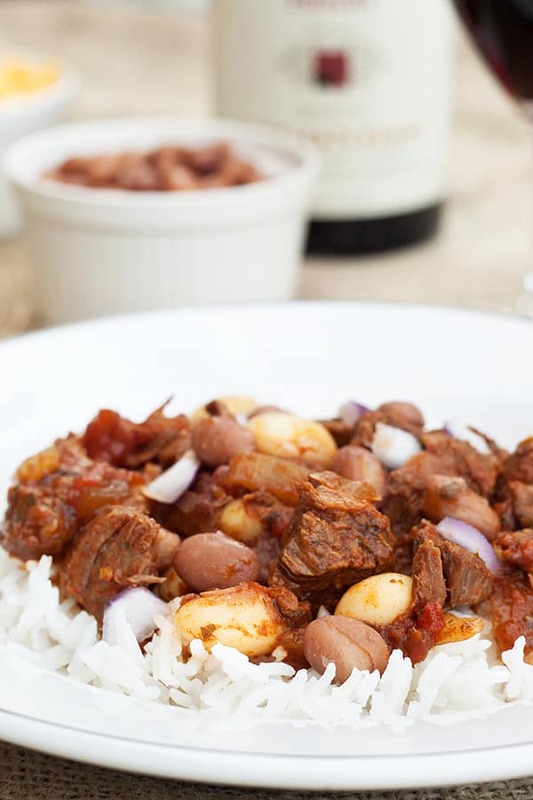 Turn your slow cooker onto it's 'low' setting and leave for 8 hours. An hour before serving add the butter beans and stir. Once cooked, plate up with a helping of rice and let you and your guests help themselves to chopped raw red onion, grated cheese and pinto beans to top the chill. Enjoy! This looks so good!! I definitely prefer a more chunky chili than a more ground up one. And what’s better than chili leftovers?